Every September, our little town rouses back to full throated enthusiasm when university students arrive from their summer adventures. Don't mistake the relative "quiet" of summer for "asleep," however. The hundreds of faculty, staff, and leaders from Walla Walla University have been hard at work, June through September, preparing and listening for God's lead in the coming year. 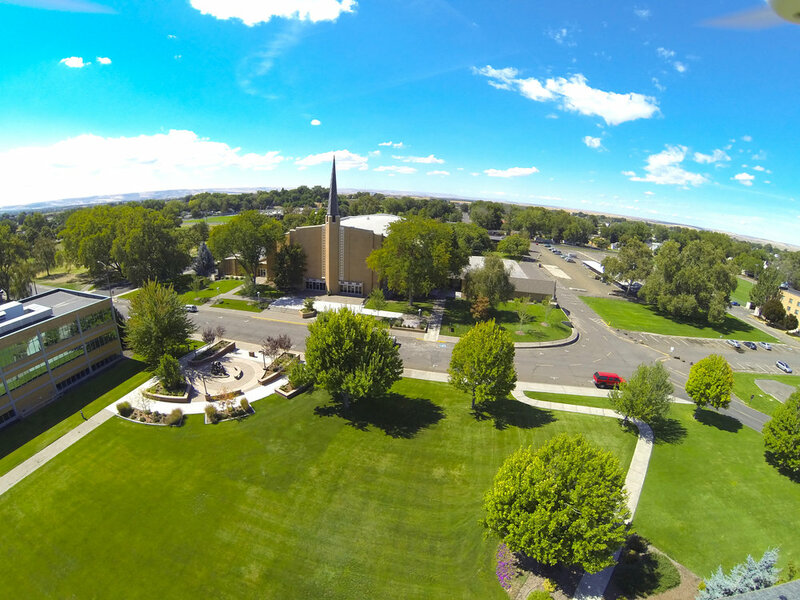 The Pastoral Staff of the Walla Walla University Church specially welcomes incoming freshmen this Sabbath as Walla Walla University begins its Jump Start program on Sunday, continuing through Friday, September 21. During your time as students, our hope and prayer is that you might have an undeniable encounter with the Living God, and leave prepared to pursue His call over your life! 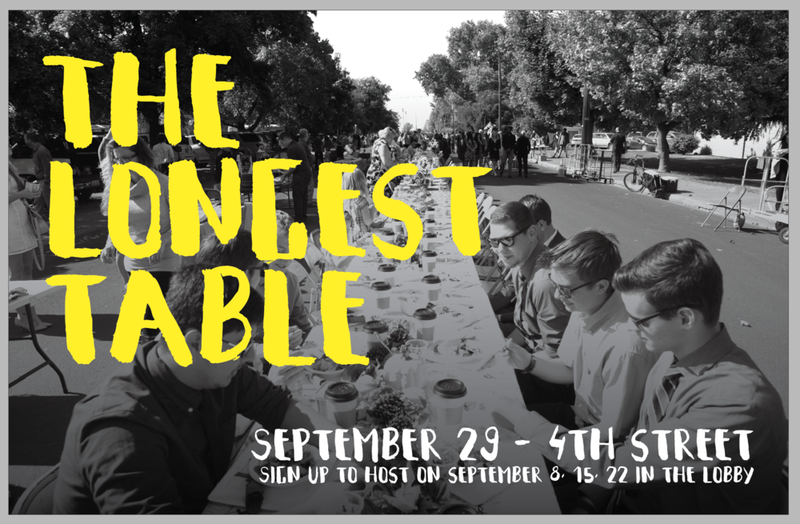 The tenth annual Longest Table hosted by the University Church is scheduled for September 29 (the Sabbath following the first week of fall quarter classes at WWU). This well-loved event features more than 1,000 feet of table stretching down 4th Street from College Avenue to SW Davis Avenue. Sign up to host tables on Sabbath, September 15 and 22, between 9am–1:15pm in the church lobby. We welcome the Chung family; violinist Alyssa, a health science major, music minor, pre-medicine junior; cellist Justin, a business major, music minor, pre-dentistry senior; accompanied by their mother Christine. Please join me in thanking the Chung family. The organ selections, composed by the great Johann Sebastian Bach (1685–1750), provide contrasting depictions of our savior Jesus Christ. The prelude, perhaps Bach’s best-known composition, is a tender song of devotion. The postlude sets a hymn depicting Christ’s death on the cross in music that is both lamenting and majestically victorious. The three sections of this work bring to mind that all three members of the Trinity were present at Calvary and invested in the unfolding scene. A translation of the text follows. Otherwise we should have despaired. Have mercy on us, Jesu. The anthem presents an arrangement of Hymn No.462, Blessed Assurance. I invite you to meditate on this text or that given above as you prepare your heart to worship our beautiful Savior. Church board meeting is Monday, September 17 at 7pm in the Youth Room. All church members are invited to attend. All are invited to join the WWU Chaplain's Office in a prayer walk of dedication for the 2018-19 school year. Meet in front of the Administration building today at 3pm. Sign up to host tables at The Longest Table. The event is Sabbath, September 29 following Second Service. Anyone may sign up to host tables. 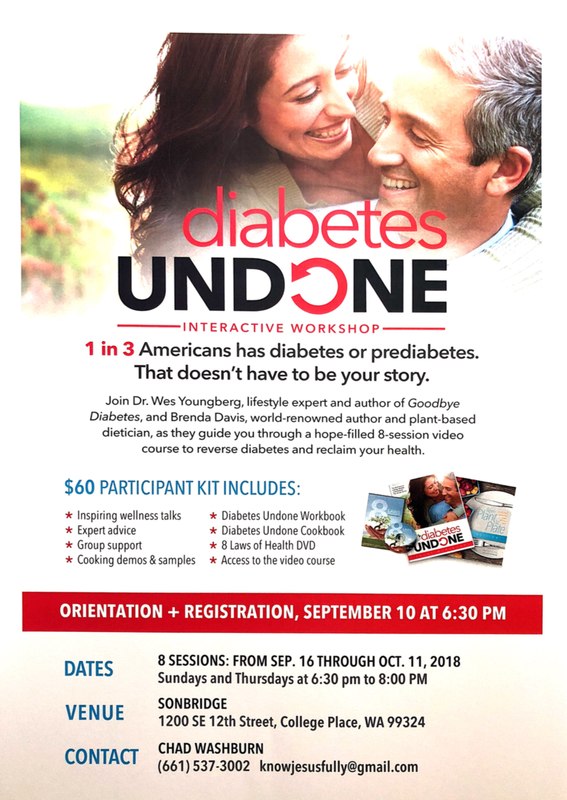 Signups in the church lobby beginning at 9am on September 15 and 22. Contact Pastor Alareece with any questions: alareece.collie@wallawalla.edu. J.U.M.P. and High Five parents are invited to Parents' Night on Tuesday, September 18. These amazing 5-6th grade and Jr. High youth groups will begin their 2018-19 school years very soon. J.U.M.P. parents will meet at 6pm in the Jr. High Room and High Five parents will follow at 7pm, also in the Jr. High Room. See you there! You are invited to remember Betty Sorensen, wife of former WWU President Cliff Sorensen, at a memorial service on Saturday, Sept. 15, at 3 pm, at the Walla Walla University Church. Dr. Sorensen and Betty served WWU from 1976 to 1985, and in 2001-02. Memorial contributions can be made to the Cliff and Betty Sorensen Memorial Fund at WWU (submit to Advancement Office, or donate online at wallawalla.edu/give). Charles Edwards passed away early September 7. There will be a viewing on September 22, 12pm-5pm and September 23, 10am-3pm at the Colonial-Dewitt Funeral Home, Dalles Military Rd. A Celebration of Life will occur on November 3, at 3:15pm in the University Church Sanctuary. WWVA Homecoming Weekend is September 14-15. Alumni and families are invited to come visit with classmates, to spend time on campus, and to enjoy the chance to connect with the WWVA family, past, present and future! This year, WWVA celebrates 25 Years of Orchestra with a special reunion concert! If you were a past member of WWVA orchestras, contact Mr. Gish for more information about taking part with the reunion orchestra. For the weekend’s schedule, visit wwva.org. The 50+ Club potluck and corn roast will be held on Sunday, September 16, at 5pm at the home of Larry and Jacque Goodhew, 4261 S. Highway 125, Walla Walla. Please bring a favorite vegetarian dish. For questions call: 509.522.2387 or 509.876.2166. The church Sanctuary re-roofing project is nearing completion. Elsom Roofing and Tektonics have spent a number of weeks carefully peeling off and replacing the old roof, wood sheeting, and assorted parts to leave us with a new protective barrier for decades to come. Check out the latest flyover video by Chris Drake, chronicling the progress: (this video was taken the week of August 20-24. Join "The Health Center" of Walla Walla, which serves students of Lincoln High School (as well as other Walla Walla youth), for a concert on Saturday Night, September 15. "Kate and the Crocodiles" from Portland will be offering a fundraiser concert at the Gesa PowerHouse Theatre at 7pm. $35 tickets at the door. Because of generous sponsors, 100% of ticket sales goes directly to the Health Center. Contact John Cress with any questions: 509.301.2198. Register for the 2019 Global Leadership Summit before October 23, 2018 for the lowest possible rate, $79. Join fellow church members and community members as we sharpen our leadership skills together! Visit wwuchurch.com/gls2019 or contact Pastor Kris for more information: kris.loewen@wallawalla.edu. Stay up to date with the University Church’s texting service. To receive important information about events, schedule changes, and emergencies, opt-in by texting “WWUCINFO” to 84576. Heubach Chapel morning worship continues this summer on a weekly basis. Every Friday morning, 7:30-7:50am, you are invited to join Heather Lee for singing and prayer.